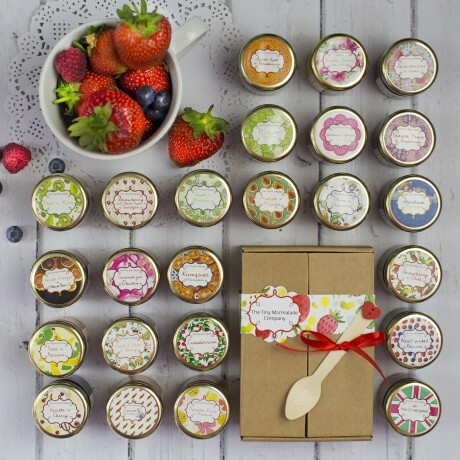 Gorgeous selection of six original tiny jams and marmalades from our wide range of more than 50 award winning flavours. Looking for the perfect gift and running out of ideas? Bored of the same thing on your toast everyday? In that case, don't look anymore. You have just found the perfect gift! 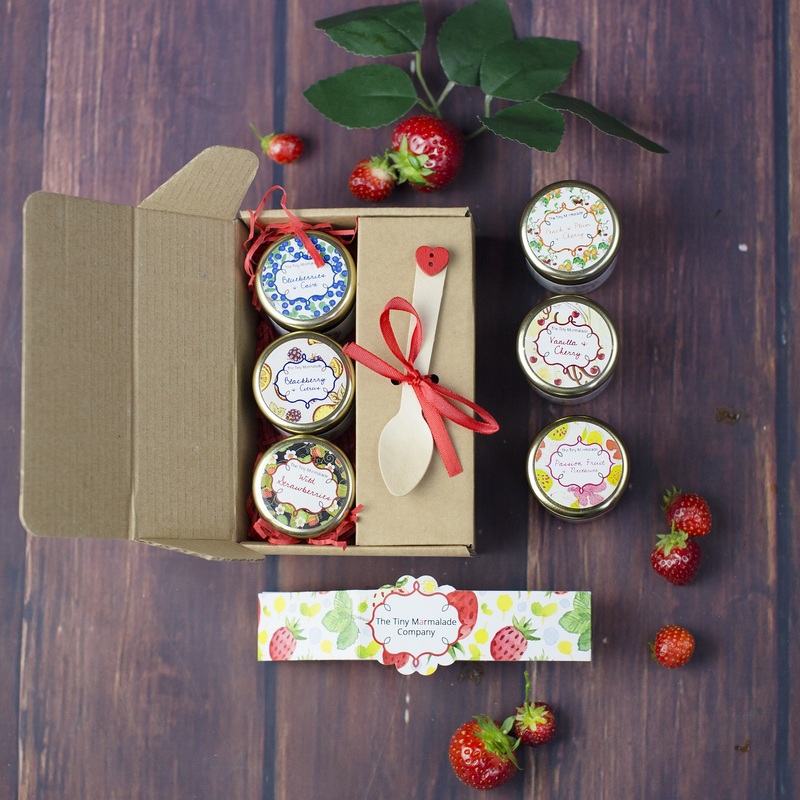 This is a lovely wrapped box of six stunning jam jars, from our wide range of original flavours: mojito marmalade, pear and kiwi, raspberries gin and tonic, apricot and peppermint, wild strawberries, Seville oranges and black beer, date and banana, cherry and Rioja, stardust marmalade and much much more! Try them all and enjoy all the countryside goodness. If purchased as a gift, the box can be posted to an alternative address. Six random flavours will be included. 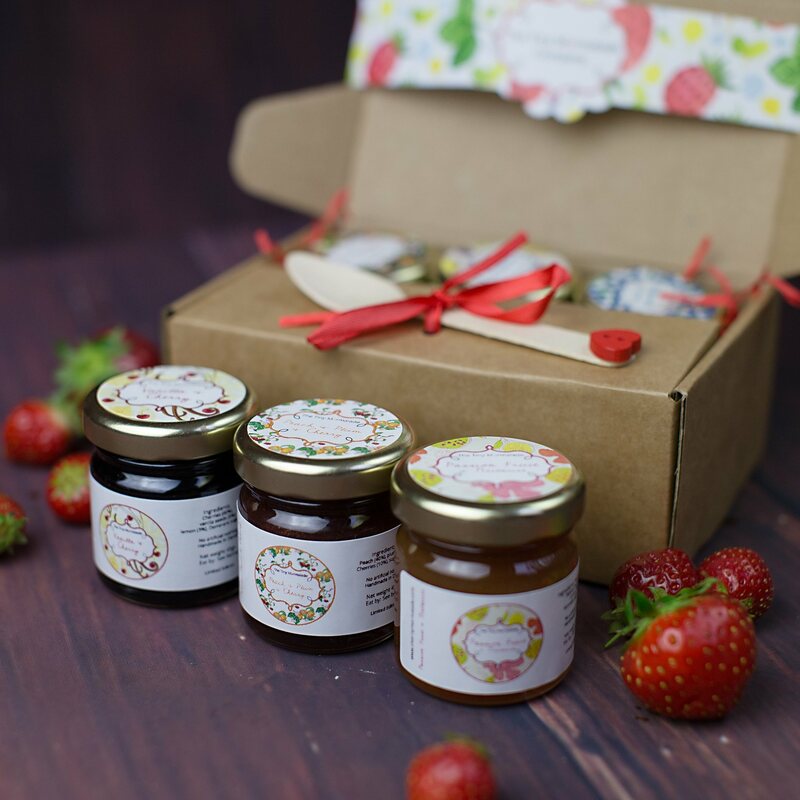 Our jams are made with a variety of fruit and sugar, and flavours will vary throughout the year. Full list of ingredients available in labels according to food labelling regulations. However, if you have any particular dietary requirement or if you prefer not to receive a particular flavour or not to have any jam with alcohol please let us know using the comments box above. 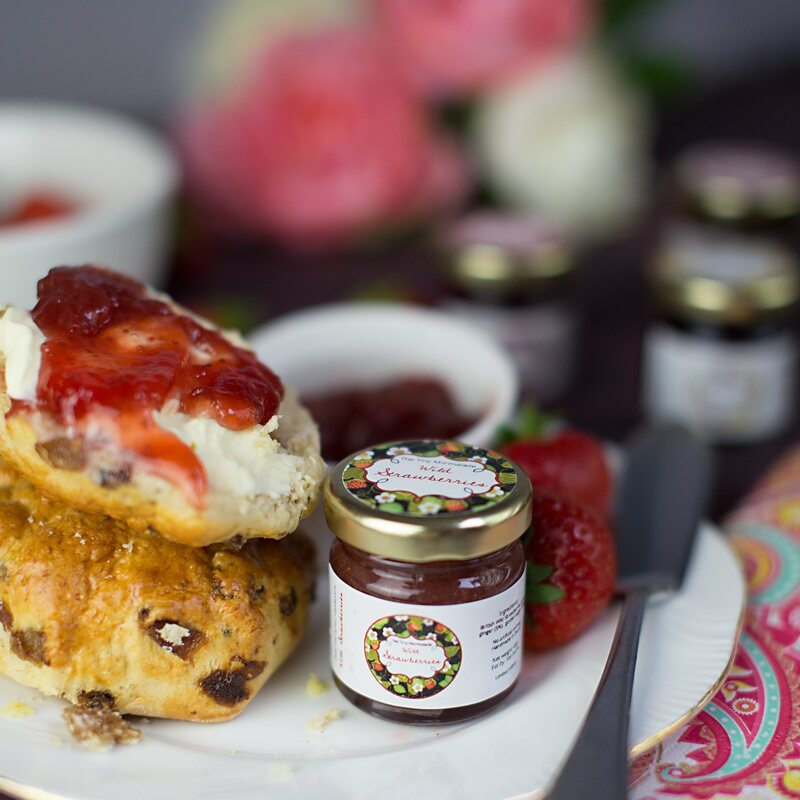 All our jams are made following a traditional open pan method, which means that each batch only produces around 30 jars. By producing smaller batches, we create a much more intense flavour. We also refrain from using any unnecessary ingredients to ensure that every jar is as full of fruit as possible. Only seasonal and fair trade ingredients are used in our jams. No artificial anything. Shelf life around one year. Store in a fresh dry place avoiding direct sun light. And yes, all our jars are tiny (1.5 oz/45ml). No more half emptied jam jars in the bottom of the fridge is our motto! Limited edition flavours: will vary within the year. Full list of ingredients available in labels according to food labelling regulations.Labels and all packaging are made of paper and cardboard.Jars are made from clear glass. Gold coloured lids. Free from gluten, nuts, dairy. This product is dispatched by The Tiny Marmalade. This item has a shipping weight of between 500g and 500g depending on the options selected.